The focus at Serendipity Cycles is on quality not quantity. 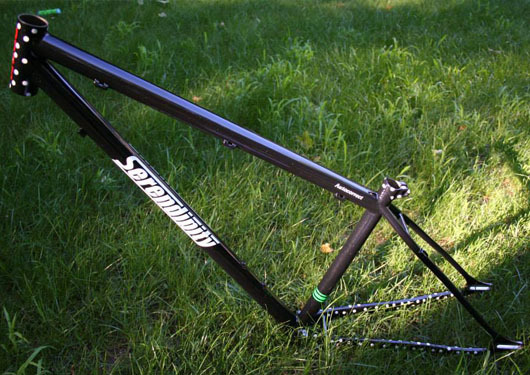 Each bicycle frame is uniquely crafted, one at a time, to the specifications of the customer. The intent is to create a bike frame that exceeds expectations and lasts a lifetime. 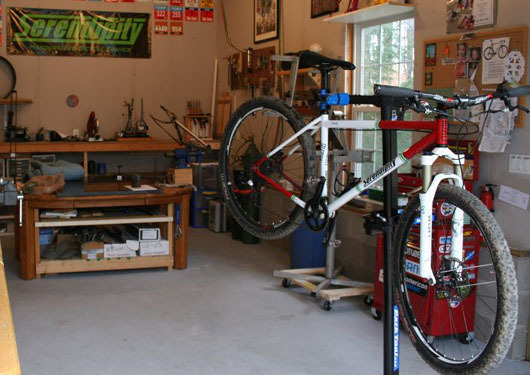 The main focus of Serendipity Cycles is frame building, but I am trained in many other areas as well. If you are looking for service on bikes or skis, I can more than likely help you out. I work strictly with steel and can either fillet braze or lug the frame. I handpick the tubing to get the desired “feel” of the frame. All geometries are custom to the rider’s body and requests. All frames are handmade which requires about two months for me to complete. Given that the frames are all custom and unique, the prices will vary. I do not paint the frames myself. I would highly recommend Spectrum Powder Works for powder coat finishes. They can make just about any idea a reality! I can help with shipping and communication with the painter, or you may choose to do it yourself. If you have a unique request that requires steel fabrication for your bike, I would like to give it a shot. I recently fabricated a set of “adult training wheels” for a customer’s son with special needs. I love unique jobs like this! Building wheels was my first love that evolved into frame building. I am a trained wheel builder and always look forward to building a new set. I am a trained bicycle mechanic and still enjoy tuning, repairing and overhauling bikes. When I am not building a frame, I am usually wrenching on a bike. Prices vary depending on what is requested. The request for frames in the winter sometimes fades away. Skiing is a popular sport in Northern Michigan and many folks do not like working on their skis. I am an experienced ski technician and can wax or tune alpine skis, nordic skis and snowboards. All edge work and base structures are done by hand. 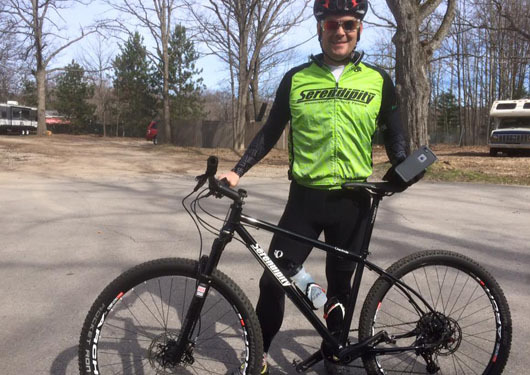 If you live in the Harbor Springs area, I can often arrange to pickup and/or deliver your bike or skis for service. Fees vary depending on your location.